Why you should go: It's only about a two-hour drive from San Francisco and you can get married on a beach with white sand, a ranch resort, or a private estate. Plus, the breathtaking scenery here alone is worth a visit ' wedding or not. When you should go: Luckily, the climate around the Monterey Peninsula tends to be pretty moderate year-round. The warmest months tend to be during August and September and don't tend to go much above 70 degrees Fahrenheit. Summer months tend to be the most crowded. What you should do: Even where the pace of life slows relative to the bustle of urban life in San Francisco, there are plenty of activities to keep everyone engaged. Don't miss the 17-Mile Drive, touted as one of the most scenic in the world. 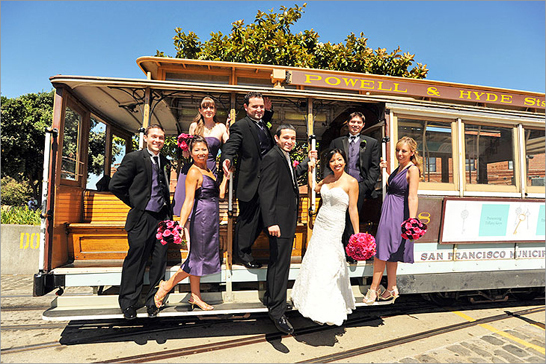 The drive stretches from Pacific Grove to Carmel and offers stunning landscapes for your wedding photos. Not to be missed are photography stop-off points at Cypress Point Lookout, Point Joe, and the small turnout with a view of the Lone Cypress Tree. The Monterey Bay Aquarium, with over 700 marine species and nearly 200 exhibits and galleries, is another must-see and provides an engaging activity for family members and friends to enjoy during their stay for your wedding. Where you should get married: For a wedding locale that embraces Arts and Crafts-style architecture, beachfront shoreline, and forested lands all at once, take a look at the Asilomar Conference Grounds in Pacific Grove. On Holman Ranch in Carmel Valley, you can get married on a hilltop surrounded by a clear view of the Santa Lucia Mountains or amongst a rose patio next to the adobe and stone architecture. Indoors, you can transform an existing lofty carriage house into an elegant reception space. Why you should go: When most people think of Napa Valley, they think of the wine. Well, that's one reason to visit, but for a local destination wedding, there really is so much more. For the wedding couple, you'll find everything from verdant countryside settings and romantic gardens to lush vineyards and world-class resorts. When you should go: During the summer months and in October, planning a wedding is ideal to enjoy the warmer daytime weather. Just keep in mind evening temperatures can drop to a chilly 50 degrees in October. If you want to avoid the peak rates and crowds, skip the popular month of September. What you should do: There's plenty for the bride, groom, and guests to do in the Napa Valley from Calistoga to Yountville. Put taking a tour of the renowned Francis Ford Coppola-owned Rubicon Estate on your to-do list. You'll be able to tour a historic chateau, winery, and museum. But don't forget to check out other treats like a spa visit to The Carneros Inn, located in Napa. Relaxing options like the "Red Flower Hammam Body Ritual Massage" and "Chardonnay Grape Seed Oil Massage" are a perfect way to wind down those pre-wedding nerves. Where you should have your wedding: There are more than a handful of picks for places to get married. 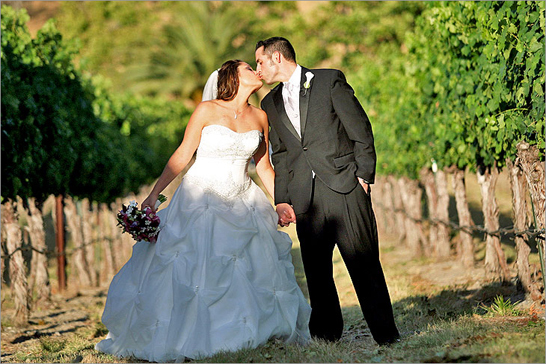 For intimate weddings in a resort setting, Calistoga Ranch gives you everything from a trellised wine cave to lakeside views. 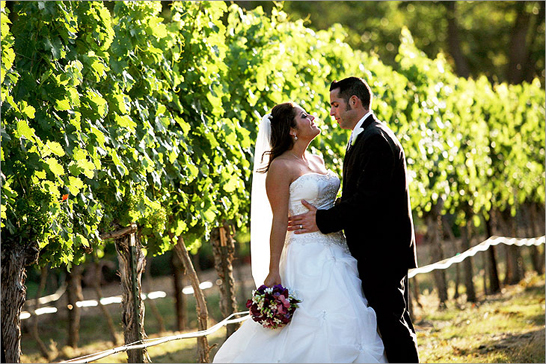 For a wedding with dramatic surroundings, get married on the grounds of Meadowood in St. Helena. This 250-acre resort offers perks like top-notch food grown on the premises as well as rooms with wood-burning fireplaces and views of the wooded property. Why you should go: Awe-inspiring lakes, top-notch ski resorts, and pine-covered mountains. What's not to like about Lake Tahoe? For wedding couples, you have the natural beauty of the land to embellish your wedding day and venues from golf courses to resorts to hold your ceremony and reception. When you should go: Without a doubt, summer and early fall are the busiest months, with warmer temperatures drawing in the summer travelers and wedding revelers. So book early if you plan on a wedding during the popular months. What you should do: After the wedding, you can turn the Lake Tahoe area into the start of your honeymoon adventure. Naturally, skiing is abundant during the winter months at popular resorts like Alpine Meadows, Heavenly, and Squaw Valley. But the summer months bring in plenty of activities as well. Lake cruises on everything from a paddle wheeler to a yacht will allow you to relax and enjoy the scenery. But there's no reason not to actively take advantage of the outdoors, either. Jet skiing, parasailing, horseback riding, and golfing are all possibilities as well. Where you should get married: For getting married outdoors next to a jaw-dropping backdrop of shimmering Lake Tahoe and snow-capped mountains, Edgewood Tahoe Golf Course is where it's at. Indoors, your reception can take place in one of two banquet rooms within the timber and glass clubhouse. PlumpJack Squaw Valley Inn in Olympic Valley offers plenty of opportunities for wedding photo memories. Take in the charm of this mountain lodge hotel with a unique avant-garde, upscale interior. You can plan on getting married by the pool, with the mountains enveloping you and your guests. Then decide to stay outdoors during the warmer months or opt to move into one of the reception rooms for the party.